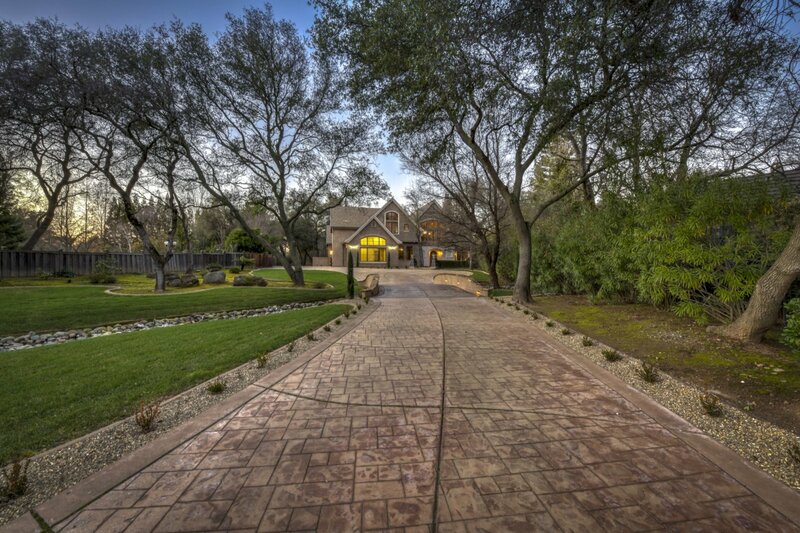 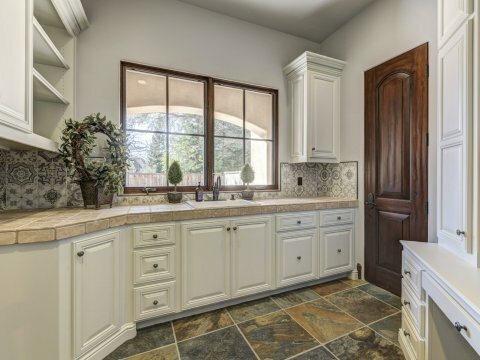 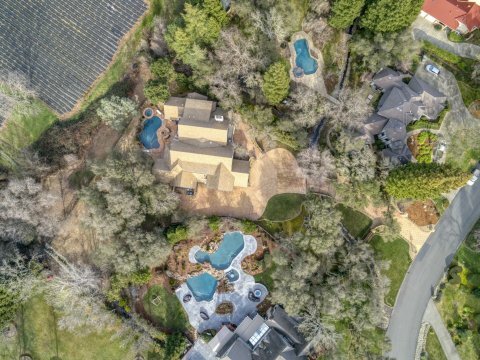 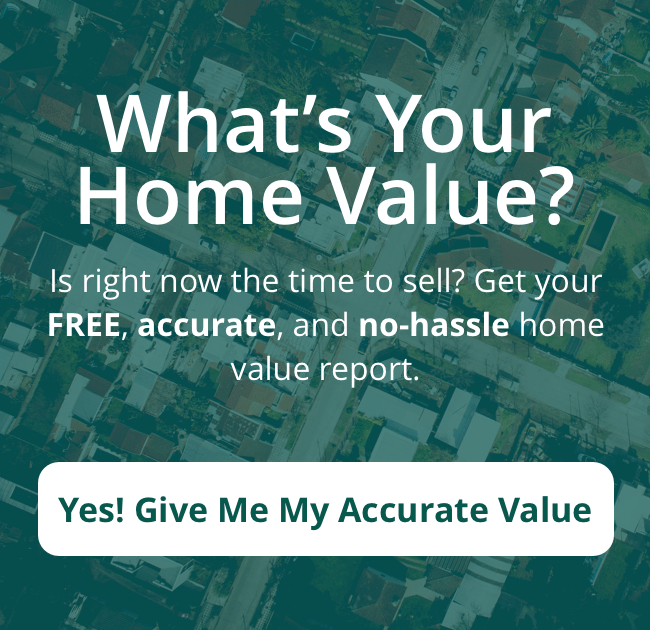 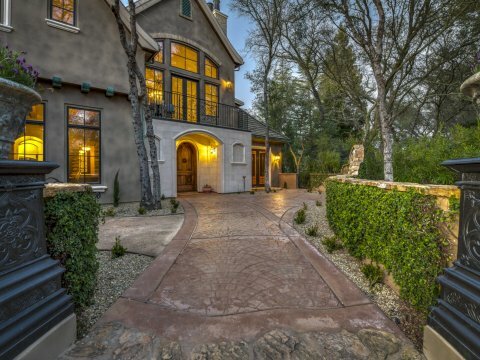 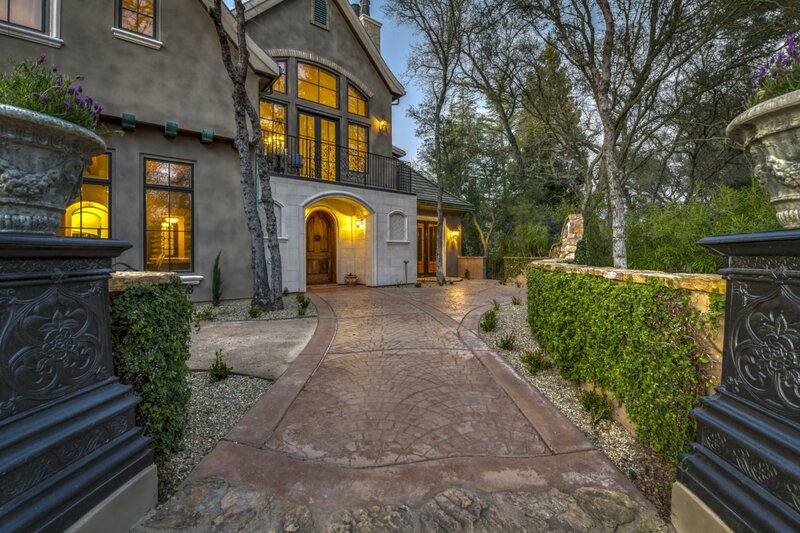 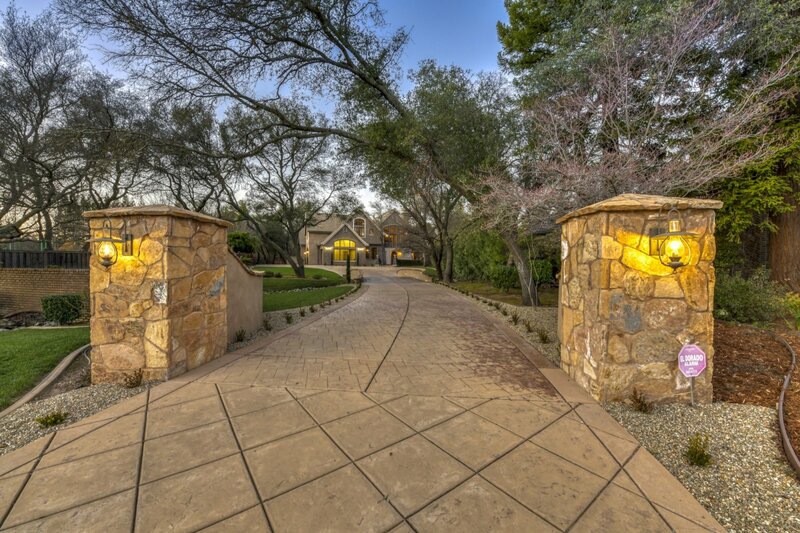 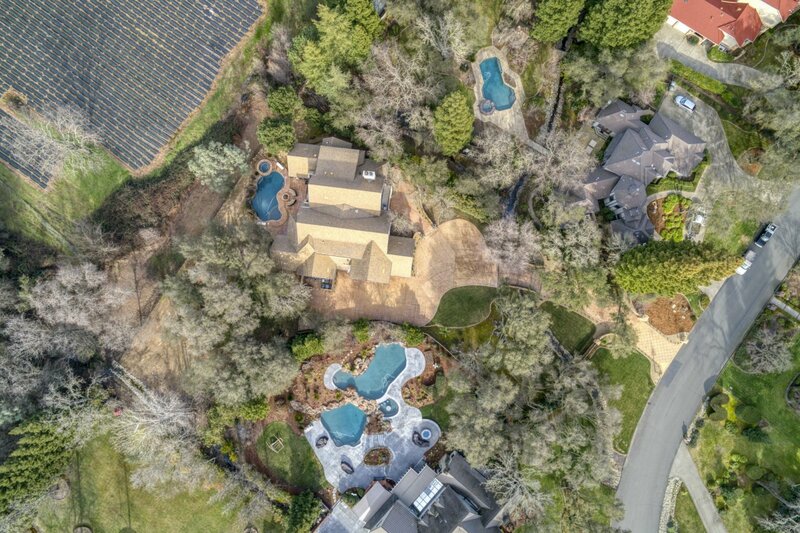 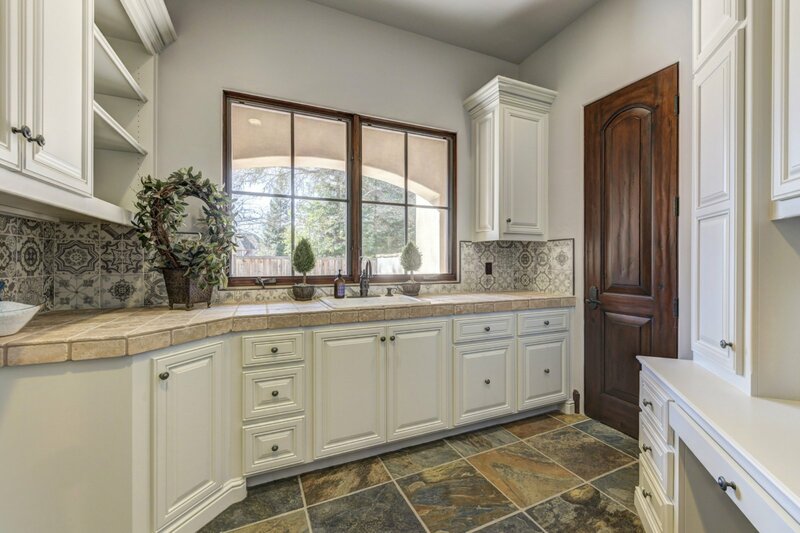 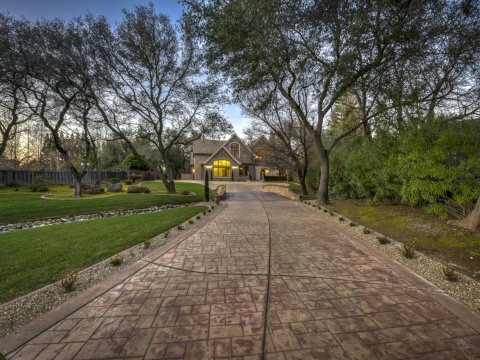 8135 Shelbourne Drive Granite Bay | Brenda Brown Luxury Homes, Inc.
lush, forest-like setting. 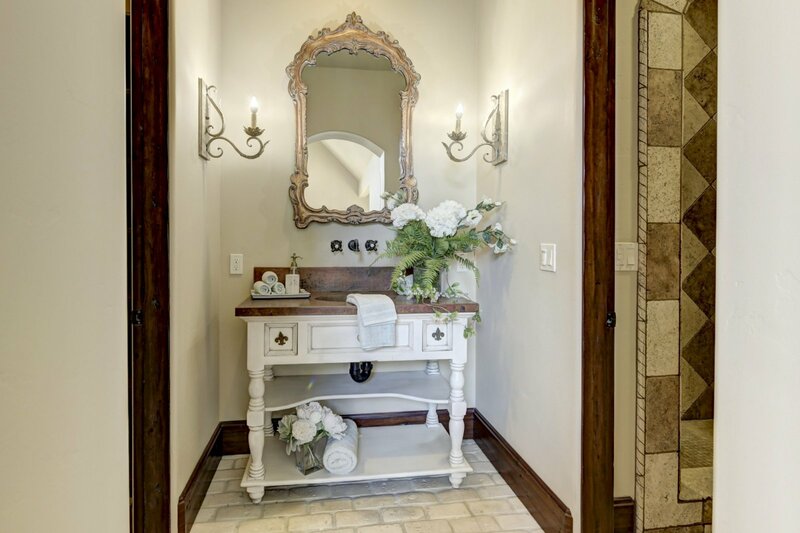 Be mesmerized and let your senses dance by the everlasting impression of a true French country villa! 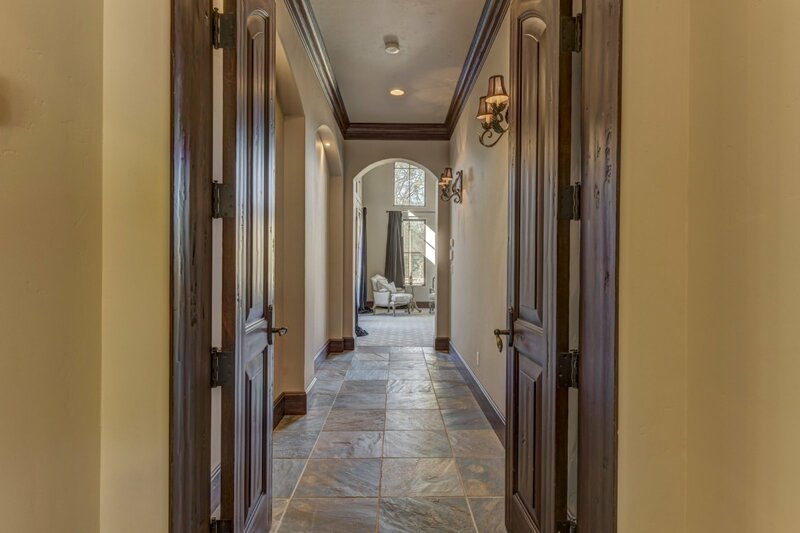 As you walk up to the front door, you are greeting with a fountained courtyard entry, and an upper balcony fit for an evening of conversation and a bottle of wine. 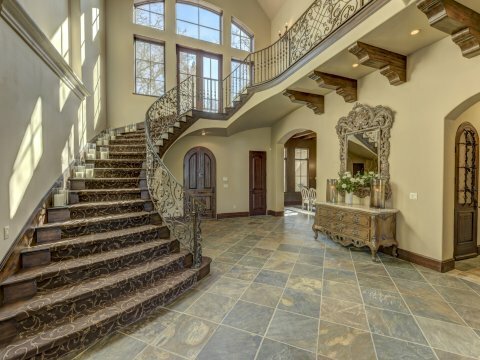 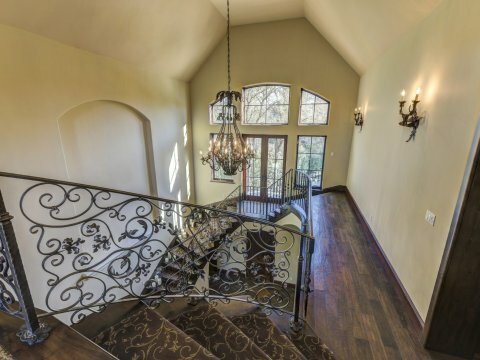 The grand two-story foyer with distressed walnut floors and slate floors connects to the refined floor plan with 4 bedrooms, 4.5 baths, in an incredibly appointed 6500 square feet. 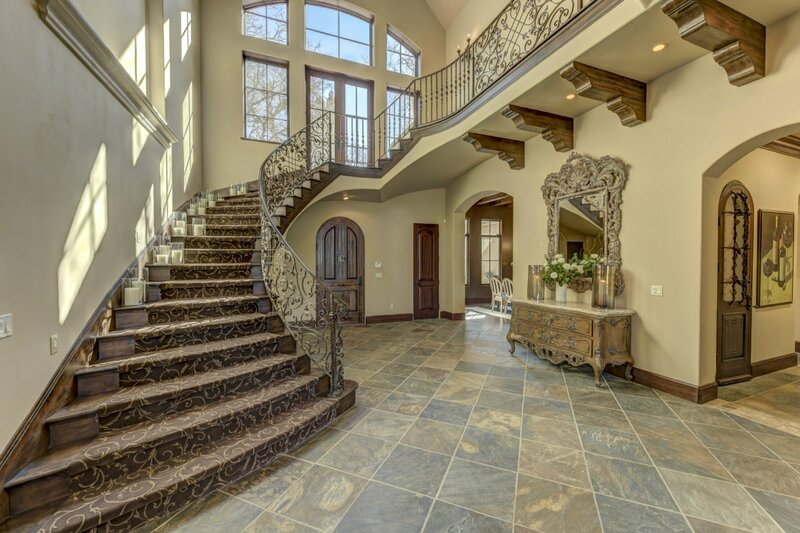 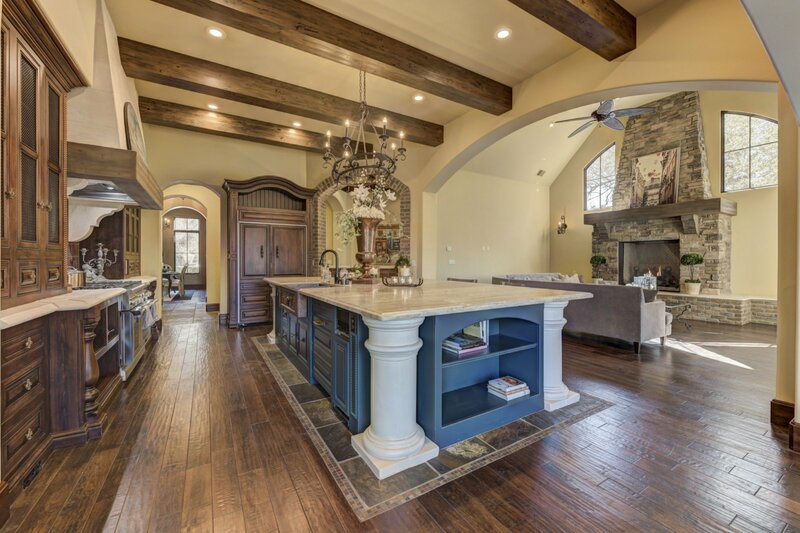 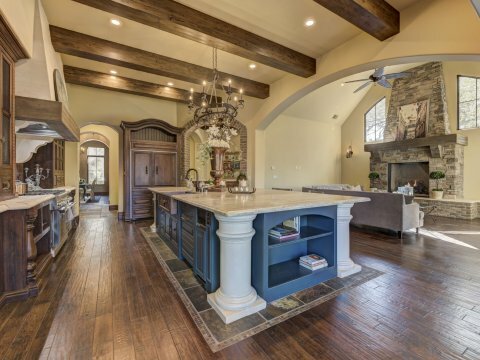 A breathtaking entry gifts views of an elegant formal dining room with a window into the wine room & picturesque formal living room with arched niches for built in bookcases and a stunning fireplace. 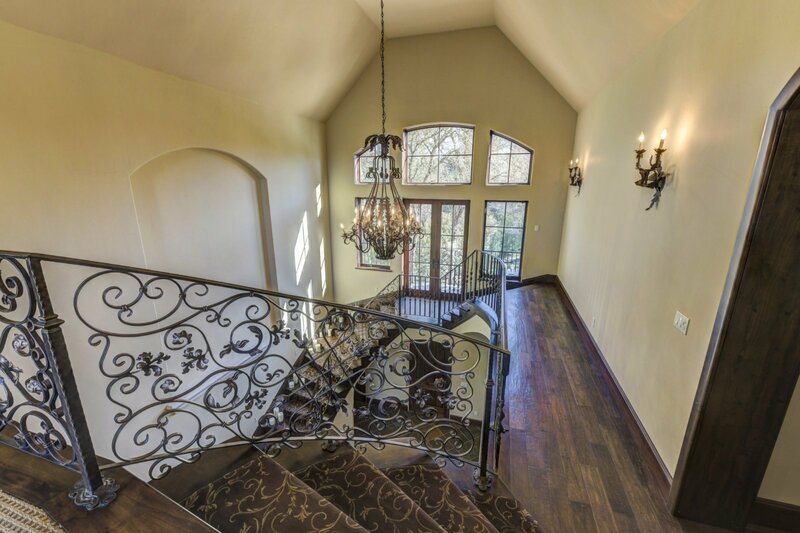 A grand spiral staircase leads you to an open upper entertainment room plumbed for a bar with a gorgeous fireplace and French doors leading to the back upper balcony looking over the pool. 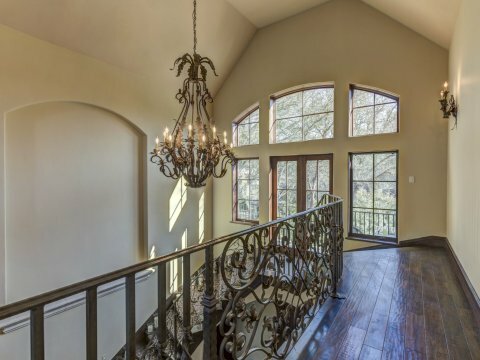 Enjoy views from the upper balcony of the strawberry fields and open country property with horses. 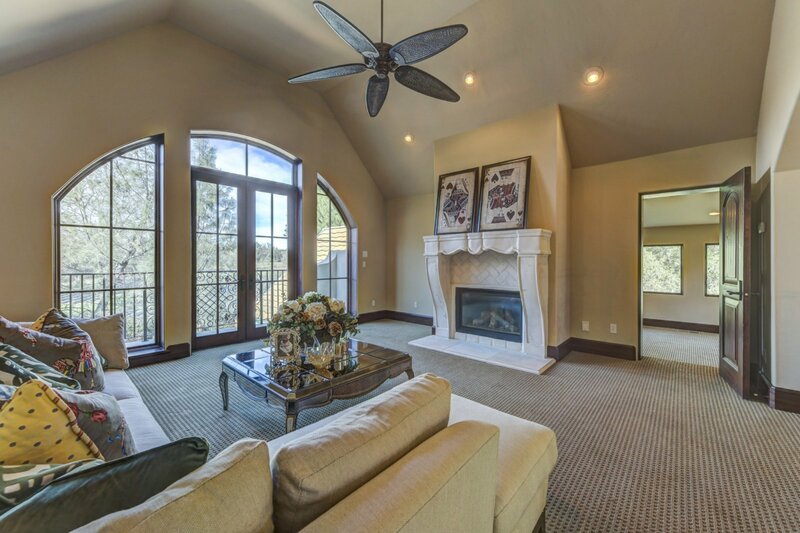 Attached to this open entertainment room is another large bonus room perfect for a theater room with picturesque windows. 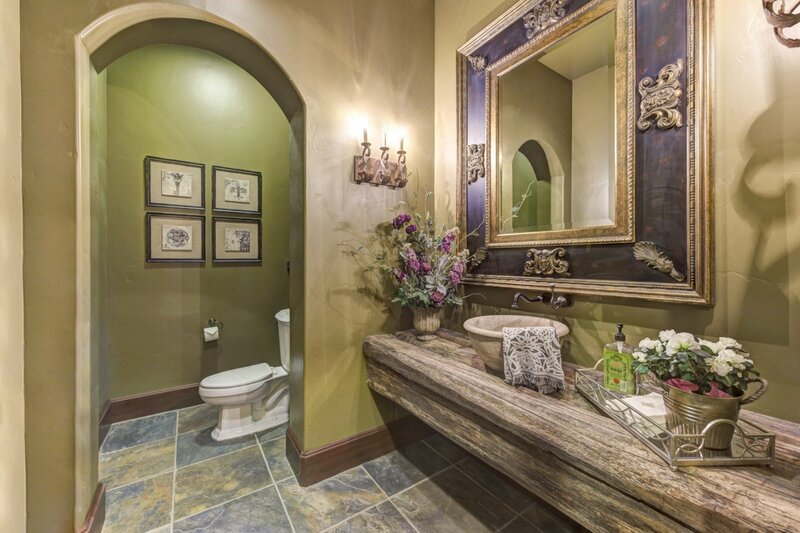 Down the long wood clad arched hall boasts three en-suites. 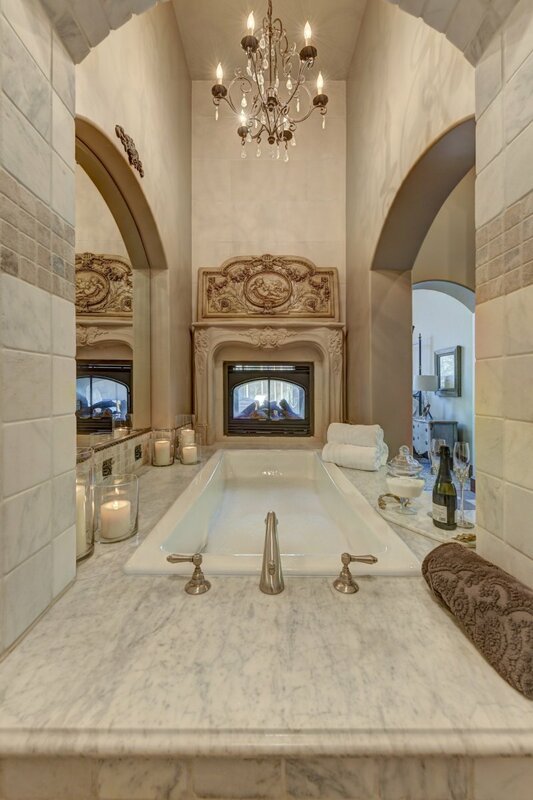 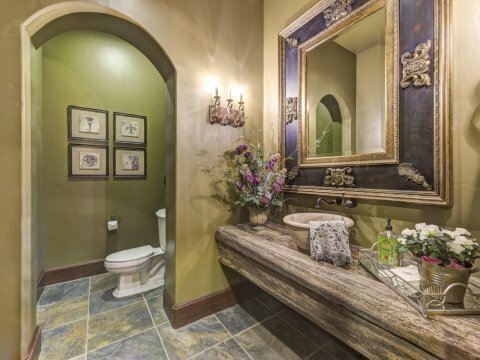 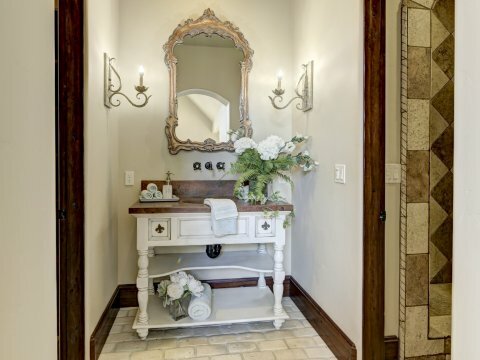 Relax in the luxurious bedrooms & spa-like baths detailed w/ utmost perfection. 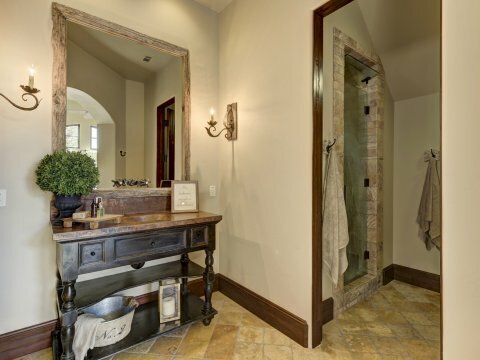 One has a steam shower. 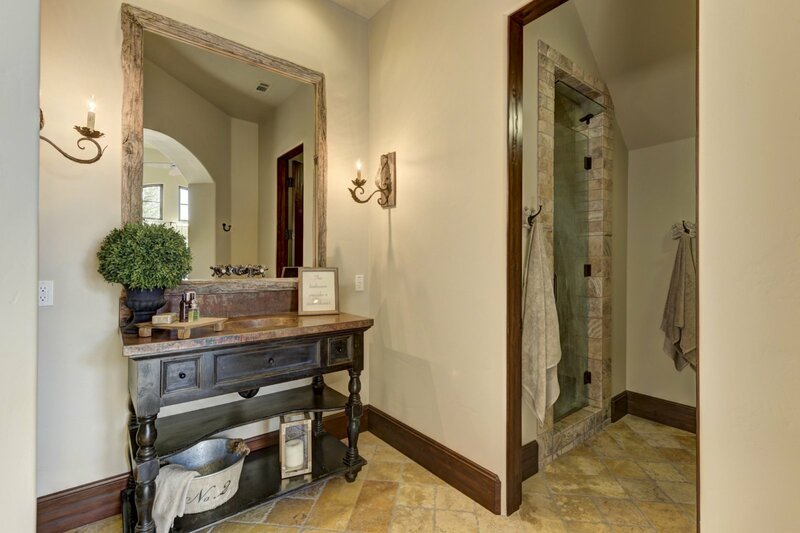 The other larger en-suite has an upper loft. 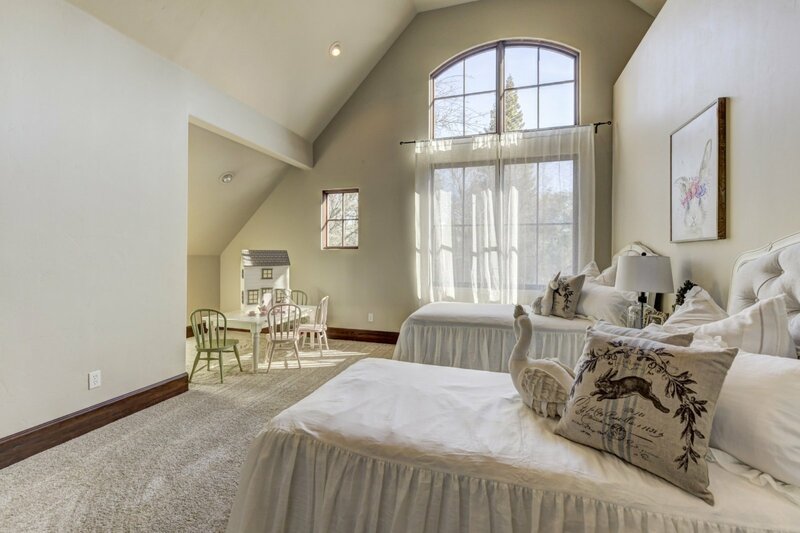 The upper floor also has a closet plumbed for a washer and dryer along with a tankless hot water unit. 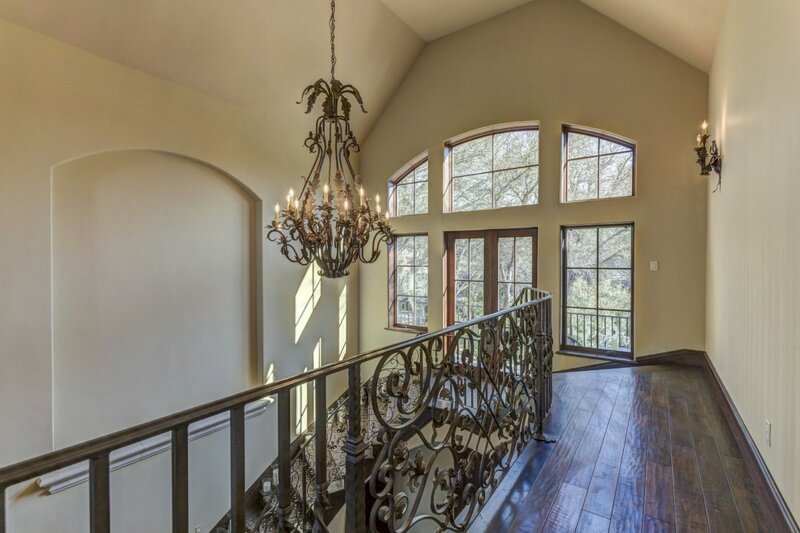 No spared expense with high ceilings, monumental windows, all hand-scraped all wood doors, baseboards, and ceiling treatments, walls of French doors, architectural lighting, multiple fireplaces, hardwood and slate floors and exquisite textures of marble and stone blend to create a stunning environment. 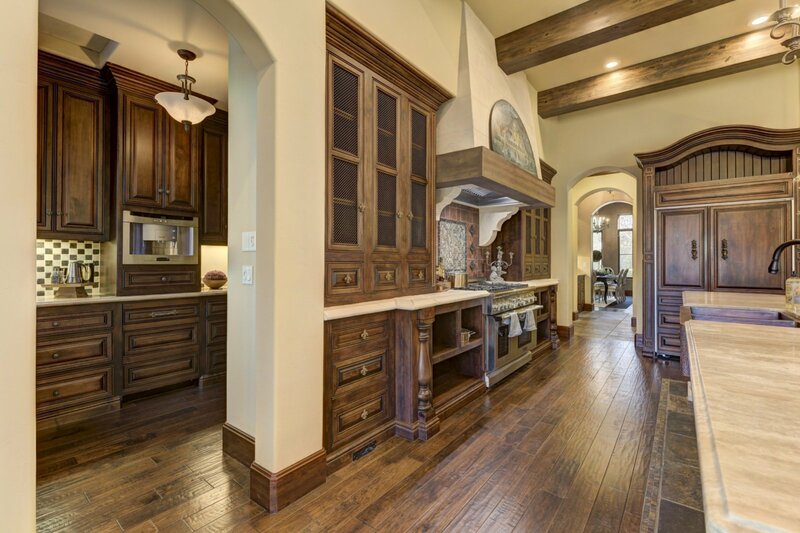 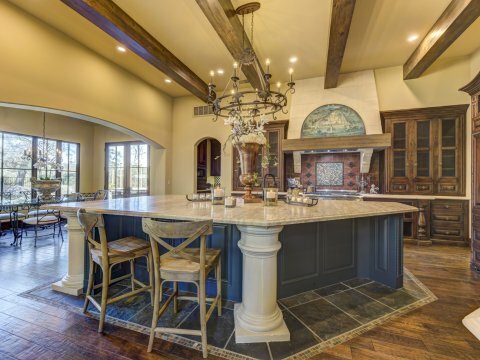 As you stroll through the lower lever of the home, you will pass the wine room, powder bath with counter made out of antique timbers from France, butlers pantry equipped with wine fridge, sink, dual cabinets and counters on both sides. 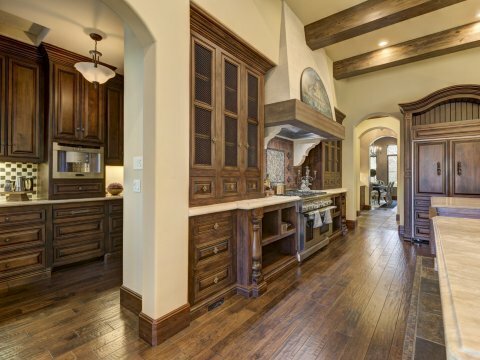 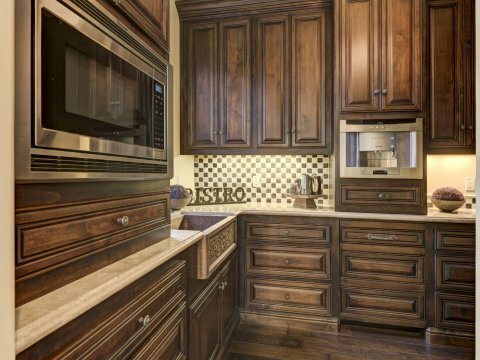 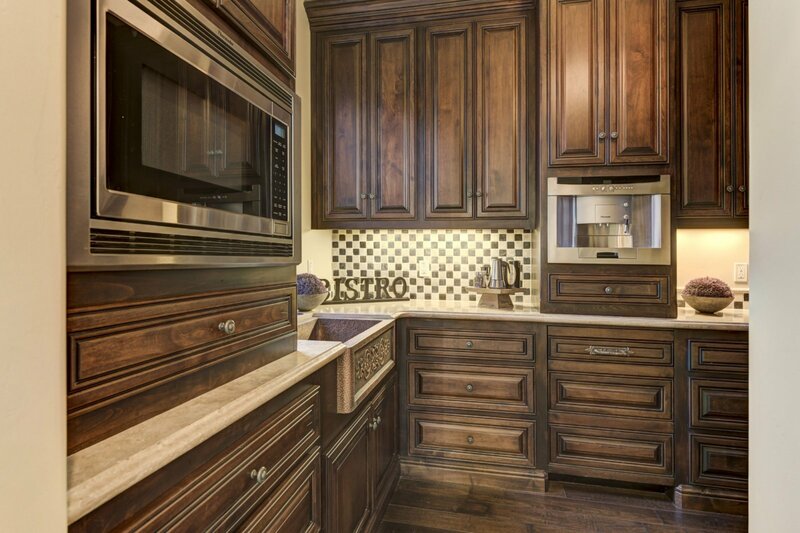 As you enter into the kitchen, you will experience an expansive kitchen with beam ceilings, massive center island with copper sink, built in armoire fridge, gourmet range, warming oven, along with a prep kitchen fully equipped with another full fridge, copper sink, built-in coffee maker and microwave. 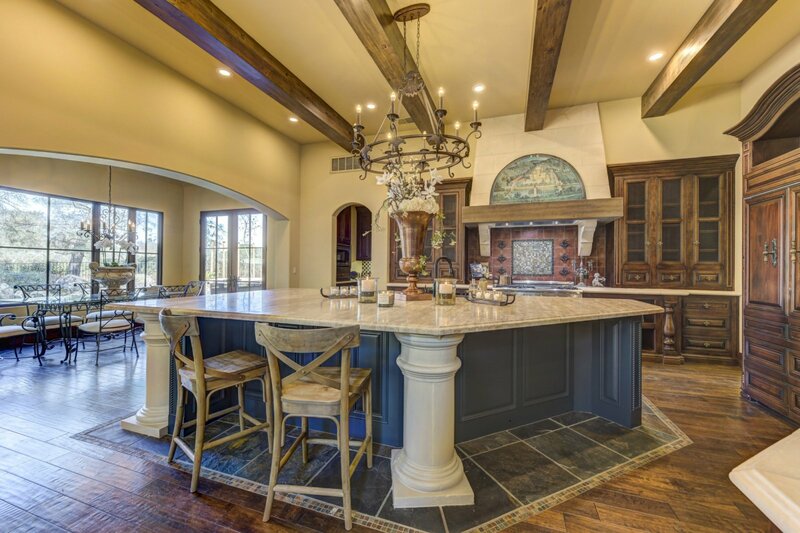 The open kitchen and breakfast room are warm and lead to the covered loggia, overlooking the park like setting with pool and spa. 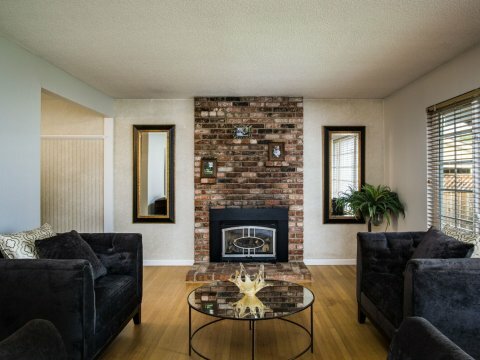 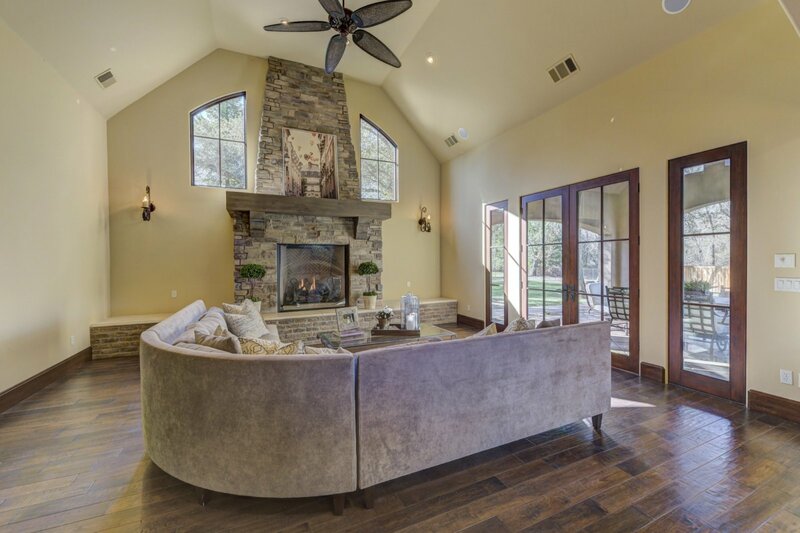 The great room’s grand over scaled fireplace is the focal point of the room. 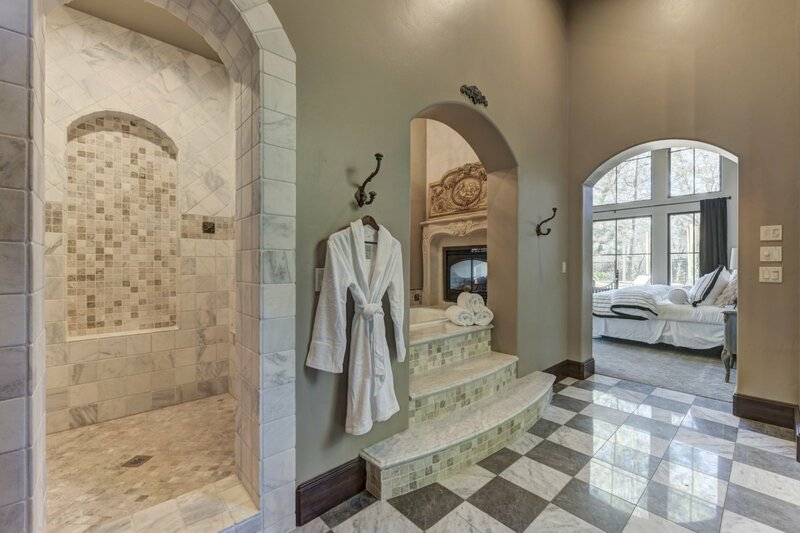 On the other side of the home, you will experience the separate lavish master wing with a luxurious bath that has a see through fireplace and walk-in closet, dual vanities and open shower that leads into the jetted tub with stone clad fireplace mantel. 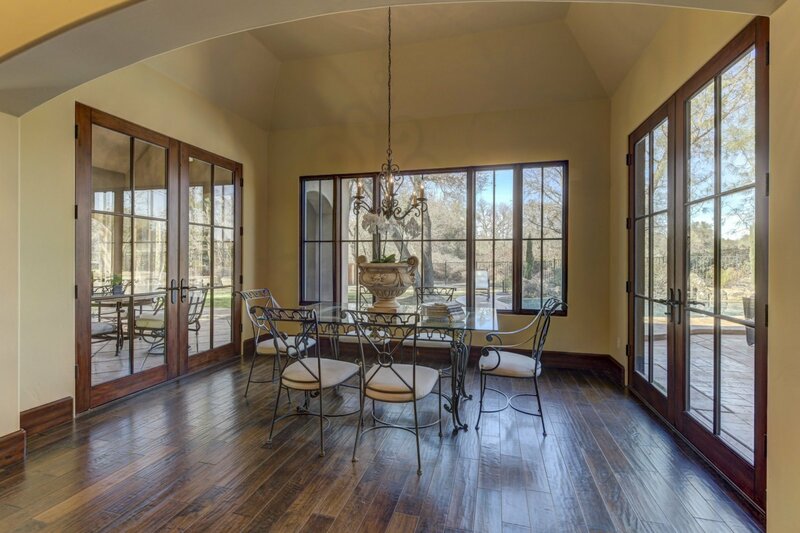 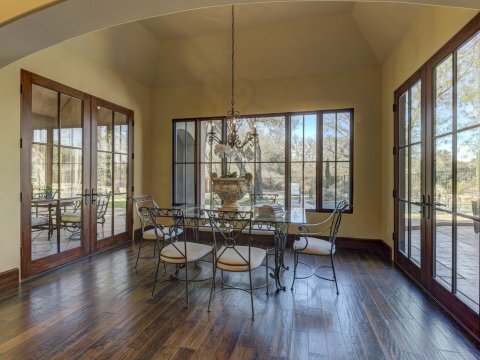 French doors lead out to the back patio and picturesque windows surround the master with lots of natural light. 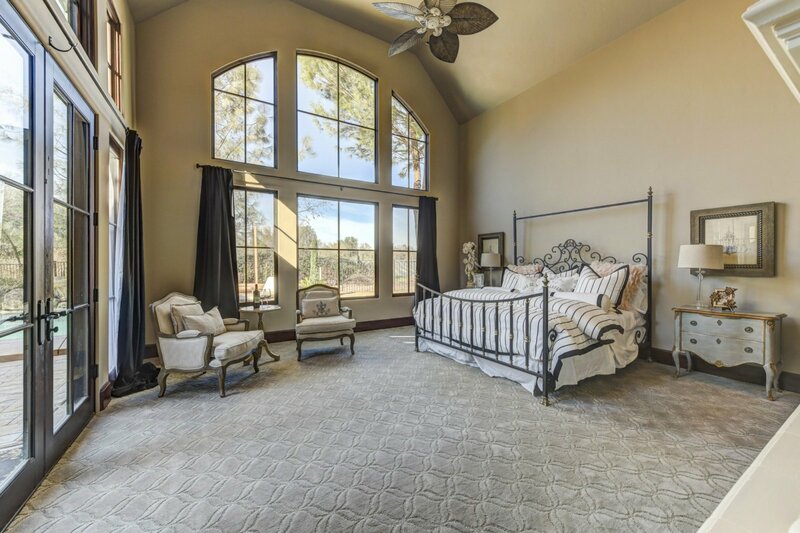 The master wing also provides a stunning den with wall to wall wood paneling, built-in bookcases, fireplace, and French doors that lead out to the courtyard with sounds of the water fountain. 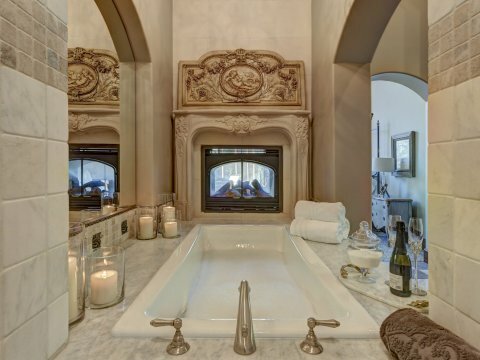 Live in the embodiment of old world sophistication w/ the finest details & craftsmanship captured by this iconic masterpiece in the grandest setting.